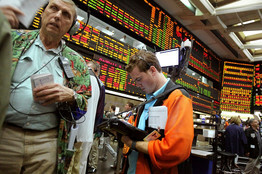 According to The Wall Street Journal’s Scott Patterson, Jenny Strasburg and Jamila Trindle, U.S. regulators are investigating whether high-frequency traders are routinely distorting stock and futures markets by illegally acting as buyer and seller in the same transactions, according to people familiar with the probes. Such transactions, known as wash trades, are banned by U.S. law because they can feed false information into the market and be used to manipulate prices. Intentionally taking both sides of a trade can minimize financial risk for the trading firm while potentially creating a false impression of higher volume in the market. The Commodity Futures Trading Commission is focused on suspected wash trades by high-speed firms in futures contracts tied to the value of crude oil, precious metals, agricultural commodities and the Standard & Poor’s 500-stock index, among other underlying instruments, the people said. The agency is looking at potential wash trades by multiple high-speed firms, although it isn’t known which ones investigators are scrutinizing. Firms found guilty of intentionally distorting the market through wash trades could face hefty fines. 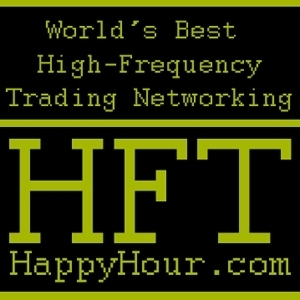 This entry was posted in Breaking News, CFTC, CME Group, Equity Markets, High Frequency Trading, knight capital, SEC, The Wall Street Journal and tagged agricultural commodities, algorithmic trading, Atlanta, Bart Chilton, buyer and seller, CFTC, CFTC commissioners, CME Group, Commodity Futures Trading Commission, computer-driven trading, crude oil, December, Dodd-Frank, exchanges, false information, fantasy liquidity, Financial Industry Regulatory Authority, financial risk, Finra, Florida, futures, futures contracts, futures exchanges, Futures Industry Association, HFT conference, high frequency traders, High Frequency Trading-Controlling the Risks, high-frequency customers, high-speed firms, high-speed markets, higher volumes, ICE, incentives, IntercontinentalExchange, international regulators, Jamila Trindle, Jenny Strasburg, Knight capital, manipulate prices, market watchdogs, markets, Nasdaq OMX, NYSE Euronext, NYX, precious metals, regular investors, Scott Patterson, SEC, Securities and Exchange Commission, Standard & Poor's 500-stock index, stock, suspicious trading activity, The Wall Street Journal, trading firm, trading-engine, Transaction Costs, transactions, U.S. law, U.S. regulators, underlying instruments, voluminous instances, wash trades. Bookmark the permalink.